Labour Councillors on the Tyne & Wear fire authority recently voted to save Wallsend fire station from closure after Tyne & Wear Fire chiefs initially agreed to cuts that would have seen the loss of the fire station on Hadrian road, Wallsend. The original decision to close Wallsend fire station was taken as Tyne and Wear Fire and Rescue Service faced making cuts of over £5 million pounds. 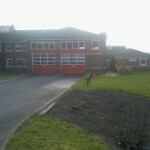 Emergencies currently covered by the modern Fire station were earmarked to be covered by a new station to be built in Longbenton, Newcastle Upon Tyne, with the obvious disruption this might have created to members of the Wallsend public. Labour’s candidate in Wallsend ward Matthew Thirlaway is quoted on the Labour party website as saying. “I am delighted that the fire authority has reversed its decision to close Wallsend fire station, This is despite the authority facing £14 million worth of cuts over 7 years which amoount to 35% of its budget from the coalition government. Perhaps we should point out that the Labour fire authority first decided to close the fire station. Then, LibDerm campaigners along with Wallsend Town Centre Residents Association started a petition to oppose the closure. The LibDems forced a council meeting about the matter. Thabnk good ness for proper local Councillors who take action! Incidentally, there were NO labour councillors from NT on the discussion with One North East about the North Banks of the Tyne plan. That was all LibDems as well. Wake up Wallsend. You are being sidelined by a vast Labour majority.